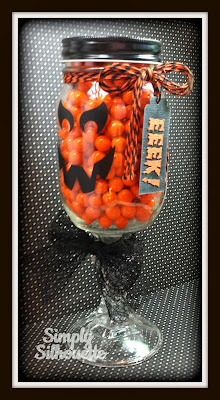 "Orange Licorice" and "Black Licorice"
So, I decided to make candy jars for my Mom! I used "Orange Licorice" and "Black Licorice"
of the jar just under the lid. I changed out the regular lids to black ones. I plan to do again for maybe a Christmas project. 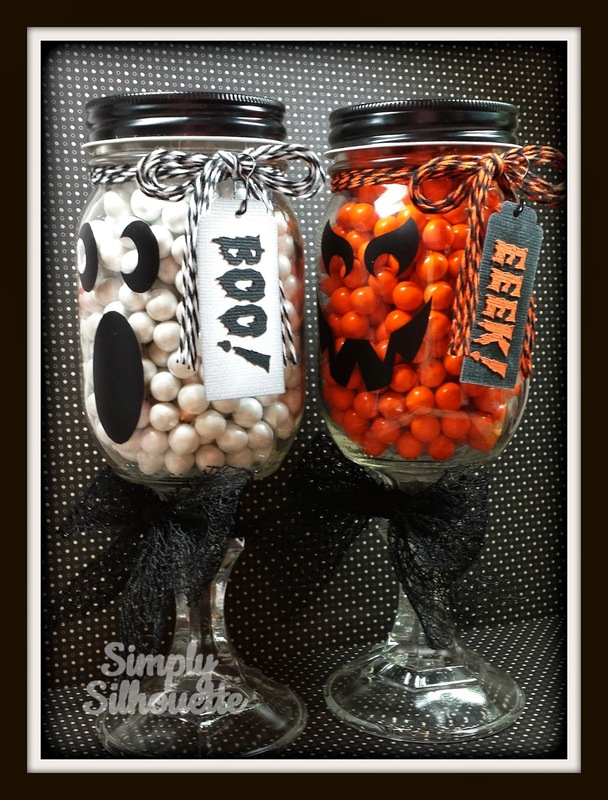 These are AWESOME Julie!! 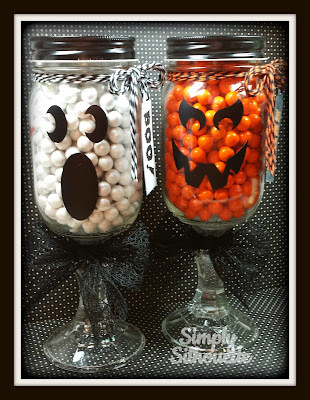 What a fun project and adorable Halloween idea!!! 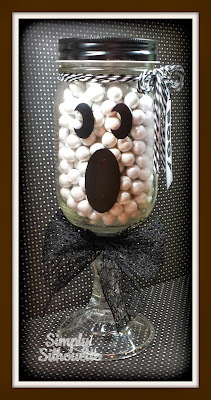 Thanks for sharing and for being an AWESOME Guest Designer for Trendy Twine! Great Halloween Project, Thanks for being our Guest Designer today over at Trendy Twine.. These cuties are AMAZING, Julie. 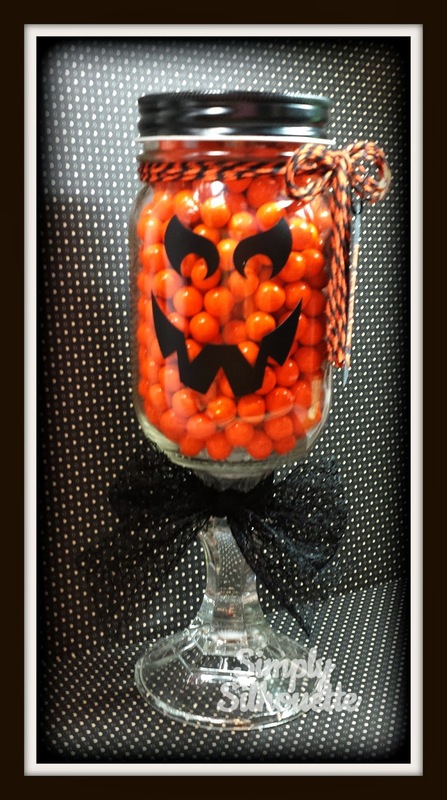 What fun and festive treats for Halloween. Thank you so much for guesting for us again this year. I knew you would come up with something incredible. Love these!! Such a cute project! Thanks for guest designing with Trendy Twine! Your treats looks awesome, love those fun jars and the faces are amazing! Thanks for joining us as our guest designer over at Trendy Twine! Have a Happy Halloween! 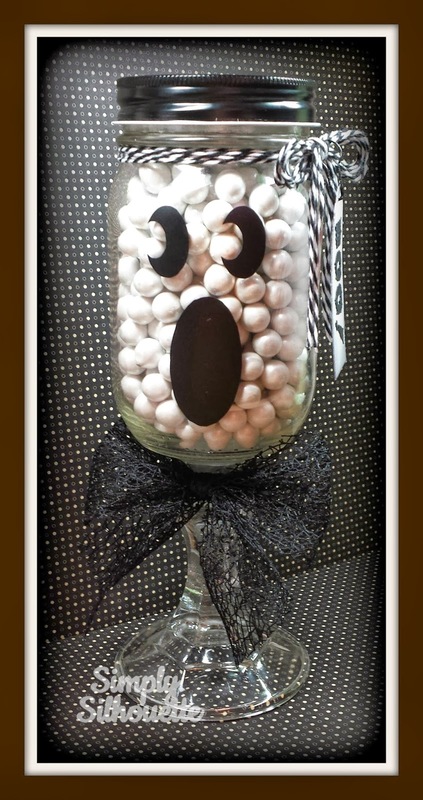 Another awesome and cute project, Julie! Love it!! Always love seeing what you come up with-fantastic idea's!!! These are just the cutest Julie!! Spooky Cute!!! Oh! Congrats to you on SMS !!!Yiippee! !